Posted on 10-30-18 at 2:56 p.m. It will probably seem obvious to anyone who reads my columns, even occasionally, that one of my constant concerns is the ability of society and individuals to live with the changes that our current era inflicts upon us. 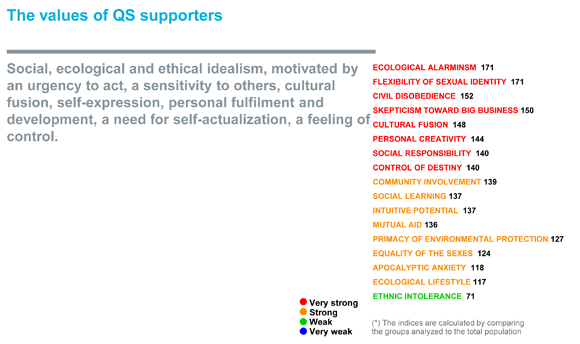 Most of the indicators we use to measure the values and mentalities of the consumers and citizens in our country indicate that there is a widening rift in society between those who consider our present era a source of opportunity for personal growth and those who believe that they are living in a cruel social jungle where more and more people are being left behind. While much of our work has pointed to this sad trend, we have only recently become aware of its full extent through a process of synthesis. We performed this synthesis for a study on the social division in the country on behalf of Louis Audet, Executive Chairman of COGECO's board of directors. Our study became the topic of his speech to the Montreal Council on Foreign Relations (CORIM ) on October 17. The goal of this study was to combine all the indicators of values and worldviews that underlie the current social division in order to provide an overall perspective on the issue. We grouped the country's citizens into large groups ("segments") based on their personal values, their view of life today, the opportunities they see there and their attitude toward change. The country is clearly divided into five large "families" - groups with attitudes, values and worldviews that are radically different from one other. As the graph below illustrates, these "segments" line up perfectly on an "axis" that extends from feeling comfortable with the present world to feeling overwhelmed by it. From optimism about the era's possibilities to feelings of exclusion! Whereas in the past society tended to be differentiated primarily along income or generational lines, today, personal values and mentalities are infinitely more important social-demarcation factors. Most of the consumer brands and products we study are differentiated primarily on consumer values rather than on socio-demographic characteristics (even if the particularities of Millennials are attracting a lot of attention at the moment). 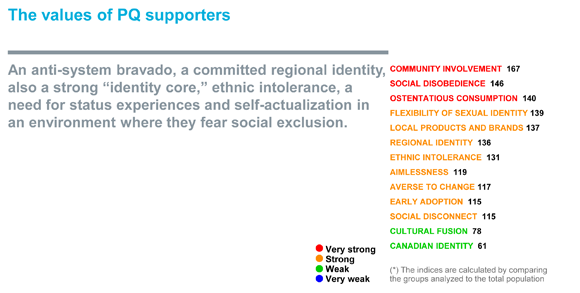 These five large segments divide society into almost equal parts, from the Optimists to the Left-behind, which demonstrates the high degree of social division in the Canadian population. This division extends from a vision of today's world as a lever of fulfilment due to its exciting possibilities to a view of the world as pre-apocalyptic and deeply threatening. Technological and social change are at the heart of this division. Innovation, ethnic and gender diversity, gender identity, gender equality, globalization, increased competitiveness and the financialization of the economy are seen by some as stepping-stones to self-actualization and freedom and by others as threats, even perversions. Moreover, all these "factors" are at work simultaneously and, as such, are transforming society at a pace unique in the history of mankind. From prehistory to Antiquity, to the Middle Ages and the Industrial Age, history has been speeding up, but never at the exponential rate we are witnessing now. Technological innovation continues to escalate and its pace will only accelerate. The migration of people, already an important factor, will become even more acute. Individual freedom is front and centre, giving free rein to all forms of personal expression and lifestyles far beyond traditional norms. But it is people's worldview, their attitude toward this whirlwind, that most divides and segments the population today; and that is causing all the social and political upheavals that we are experiencing. Income and education are important factors in feeding this division but they do not account for everything. Our personal values, those inherited from our cultural heritage and from previous generations, which we have adopted over the years and on which we fall back on over time, and the vision and energy with which we approach life are infinitely more determinant. People very anxious about their financial prospects; they feel socially excluded, fail to set goals and put the blame on the elites, immigrants and the new social models (a higher percentage of people aged 45 and up , low income and educational levels, as well as people living in the regions). When pessimism and conservatism prevail over optimism and sociocultural modernity! Optimists and Idealists combined total 37% of the population, compared with 42% for Darwinists and the Left-behind. The former are driven by projects and thrive on change, while the latter fight to maintain their position in a world in turmoil. Opportunists are a hybrid, fearful of exclusion while expending their energy in madly climbing the traditional social ladder. The transformations in society and the economy do not offer the same opportunities to everyone. The dream of self-actualization is shared in a very unequal way. As we have seen, income and education partly explain this divergence (Idealists have low incomes, while Darwinists have high incomes) but not entirely. Fuelling this division is a growing cynicism toward elites and a view that future prospects are blocked. The question is: In what direction will this dynamic evolve? If waves of innovation powered by artificial intelligence erase more jobs than they create, cynicism could continue to grow along with sharper social divisions. However, let's stay optimistic. In the meantime, this social divide could pose a real threat to our democracy. Feelings of exclusion and cynicism pave the way for populism and demagogic leaders who exploit these feelings. Our institutions need a minimum of social cohesion and commitment to function properly. Without them, the future does not bode well. Nevertheless, Canada has a relatively healthy social, civic and democratic life compared to many other countries in the world. Let's hope that we can maintain this somewhat fragile cohesion. My lyrical clip of the week is from Das Rheingold by Richard Wagner, an opera that will be performed by the Opéra de Montréal in November. There is a certain parallel between the Opportunists and the gods in Wagner's tetralogy, his cycle of four operas that make up Der Ring des Nibelungen (The Ring of the Nibelung). This musical excerpt is the finale from Das Rheingold, where the gods go up to their fortress built with the gold that Wotan, ruler of the gods, stole from the Rhine maidens (who we hear claiming it). We see these gods, so sure of themselves, heading for their ruin. This version, produced by Robert Lepage, will be performed again at the Met in the spring of 2019. Posted on 10-16-18 at 1:16 p.m. When projected against the geographical map of the province, what the results of the recent general elections in Quebec show is nothing short of astounding: a red island (with a few scatterings of orange) in a sea of blue! This is a perfect expression of the gap that is growing wider throughout the world, particularly in the West, between cities, metropolises and their regions. Coastal cities in the US versus the middle of the country, Toronto versus the rest of Ontario (that just elected Doug Ford), London versus the English countryside (Brexit), Istanbul versus the Turkish Hinterland (Erdogan), in Germany, France, etc. Many countries throughout the world are seeing a widening chasm between their metropolises and their regions, and Quebec is no exception. Despite of this, the future will, undoubtedly, be urban. It will be urban and will favor the metropolises. It will be multicultural, open to the world, agile, complex, constantly changing and driven by technology that is smart, omnipotent and perpetually transforming (Blade Runner?). The march towards this destination is on, and nothing will stop it. And Montreal is following suit. Perhaps slightly more slowly than San Francisco or Palo Alto, but it's heading in the same direction all the same. However, while cities and their residents are adapting fairly well to these transformations - in fact, they are where these transformations originate and the very incarnations of these trends - when it comes to regions, the story is an entirely different one. Mental postures in stark opposition! • Conservativism and nostalgia for better defined points of reference. 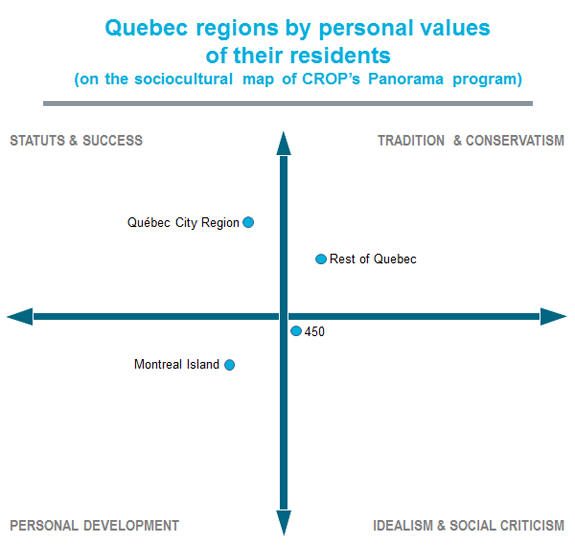 On each of these vectors, we observe a continuum of notable differences between Quebec's regions and the Island of Montreal. Montreal residents feel more in control of their lives and their destiny, better able to adapt to life today, more open to ethnic diversity and to change and more socio-culturally "modern" (i.e., less conservative, as measured here by gender equality). The table below seems to me to be particularly revealing. 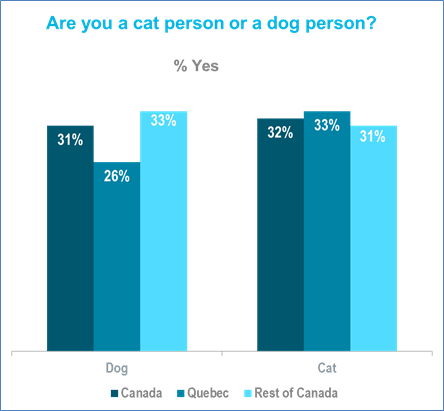 It lists penetration rates, in proportion to the overall Quebec population (indexed at 100) of some of these indicators by region, from the Island of Montreal to the regions of Quebec, through 450 area code and the Greater Quebec City region. 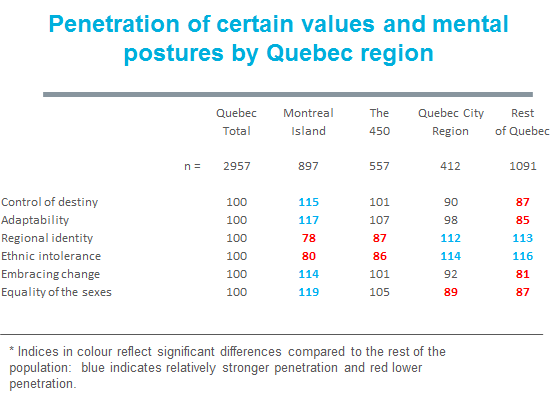 The table shows that the Island of Montreal is, by far, that region that is the most in step with current times, that the 450 area code region lies somewhere in the middle and that the Quebec City region is by far the most "conservative" part of the province! Throughout the world, big cities are exploding and immigration is THE driving factor. We are seeing intra-national migration from the regions to the cities, but also an acceleration in international migration driven by wars, misery, climate change and people dreaming of a better life. Migrants stand out as the most visible sign of the rapid transformation in the world. Globalization and technological change are discreet. Migrants, on the other hand, show up in full flesh, with their values, customs, cultural heritage and "art de vivre". They often incarnate a significant cultural difference when contrasted against local mores. Which worries the natives. And leaves them with the impression that their cultural heritage and local identity are at risk, especially if opportunities to intermingle are limited. (It's in the regions that we find the fewest immigrants and the highest rates of ethnic intolerance). They see them as symbols before knowing them as human beings. So this is how these city/region, openness to change/worry, sociocultural modernity/conservatism schisms have found their way into the center of national politics in most Western and/or democratic nations in the past few years. 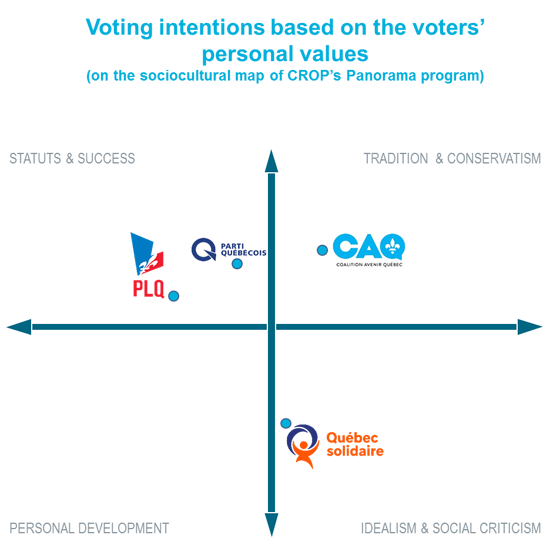 The CAQ presented itself as a force for change (at least on the policy level), but it was mainly perceived as a defense against change (at least social). Obviously, not everything is explained by this trend. There was definitely a level of "fatigue" with the Liberals and the CAQ ran a better "oiled" machine on the ground. But it cannot be denied: this campaign was won, in part, on the back of immigration. As many other observers have remarked, we can only hope that, now that they are in power, the CAQ will govern further to the center than their campaign lead us to believe. We'll see. My operatic nod this week goes to Manon by Jules Massenet. It's the story of a young woman from the countryside, who, while on her way to the convent, finds herself being seduced by a handsome suitor who promises her love and all the excitement of life in the city... "We'll live in Paris, the two of us..."
Jules Massenet : Manon, Anna Netrebko, Rolando Villazón, Alfredo Daza, Christof Fischesser, Staatskapelle Berlin, Daniel Barenboïm (Dir. ), Vincent Paterson (Prod. ), Deutsche Grammophon, Berlin, 2008.